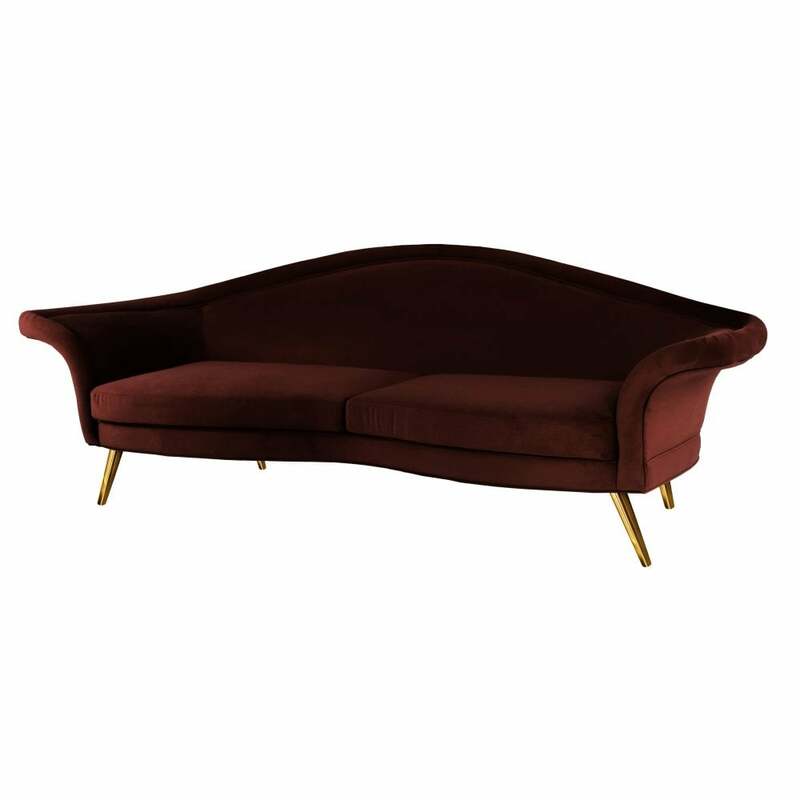 The Dorothy Sofa by Ottiu takes style cues from the golden era of Hollywood. Inspired by actress and singer Dorothy Dandridge, the curved silhouette and winged arms represent her vivacious personality. Dorothy Dandridge was the first African American actress to receive an Academy Award nomination for Best actress is the 1950s. With this in mind, Ottiu designed a striking design that would take centre stage in any modern interior. Upholstered in a luxurious velvet, the Dorothy Sofa will make a stylish addition to a living room or dressing room suite. Dorothy works well in both rich hues and pretty pastel shades. The luxurious upholstery and strong frame is complemented by polished brass legs. Get in touch with our team to discuss more fabric and finish options.